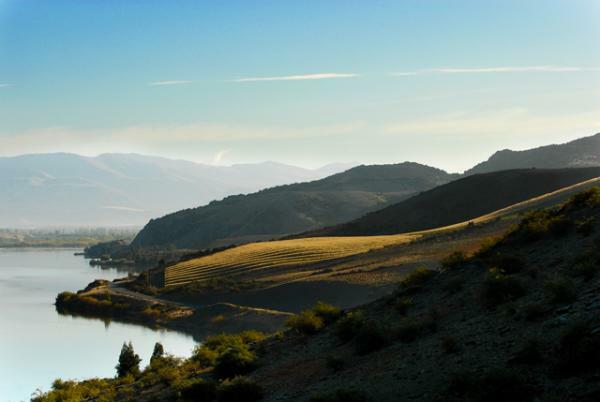 Misha's Vineyard is located on a spectacular site on the edge of Lake Dunstan in Central Otago - the Pinot Noir capital of New Zealand. The sun-drenched north-west facing terraces of the 57-hectare estate provide the optimal conditions for producing world-class Pinot Noir and a range of aromatic white varieties. Named by UK Decanter Magazine as one of the Top 20 Wine Producers in New Zealand, Misha's Vineyard's wines are crafted by renowned winemaker, Olly Masters. Owners, Andy and Misha Wilkinson have a 'no compromise' philosophy which requires an exacting sustainable viticulture regime, hand-picking and considerate winemaking methodologies. Overlooking Lake Dunstan, Misha’s Vineyard Tasting Room is a sophisticated space where you can enjoy a relaxed tasting and experience some of Central Otago’s finest wines. As well as Pinot Noir, a range of aromatic white wines are produced from the spectacular 57-hectare estate and are crafted by renowned winemaker Olly Masters. 4 Barrels Walking Wine Tour The 4 Barrels Walking Wine Trail provides an easy way for tourists and locals to navigate around four of Central Otago’s premium wine producers by foot. The self-paced 8 kilometre loop trail includes Misha’s Vineyard, Aurum Wines, Scott Base and Wooing Tree Vineyard, as well as capturing some wonderful scenery through orchards and around Lake Dunstan. The total walking time on the trail is approximately 90 minutes and can be completed in 4+ hours assuming 30-minute stops at each tasting room. Maps available at Cromwell I-Site or the Tasting Rooms.